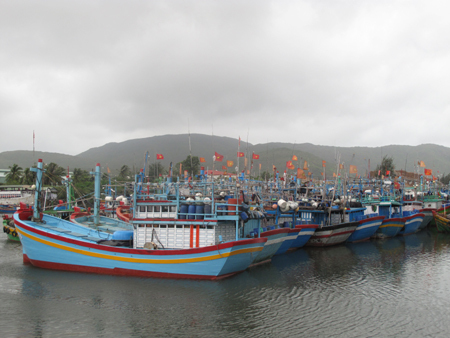 China must compensate Vietnamese fishermen’s losses Quang Ngai fishermen receive first steel fishing ship Government offers financial aid for fishermen The loan duration is 11 years with an interest rate of 7% for the first year. If the debtors are eligible to the State financial assistance policy, they will be exempt from the first-year interest and obtain a 1% yearly interest payment. The package is offered as the realisation of the Government’s Decree 67/2014/ND-CP, which provides basic policies to boost fisheries development, including assisting fishermen in building high-capacity, iron-covered ships designed for offshore fishing, a practice that could earn fishermen higher incomes.